Kasita, Inc. representative Matt Hensley, left, and Pinewood Forest Builders Guild Director Brett Baker inspect the new Kasita micro-home delivered to Fayetteville on May 17. Photo/Ben Nelms. There is an abundance of home styles emerging at Pinewood Forest in Fayetteville. 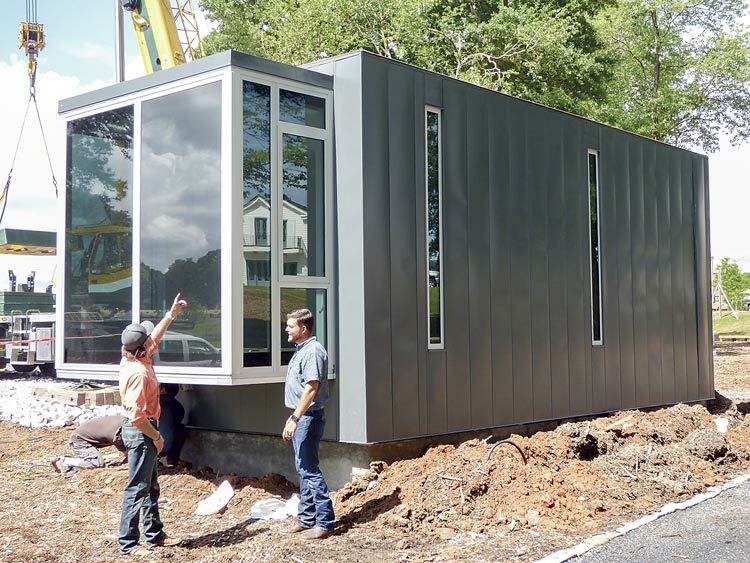 One of the most unique arrived May 17, a micro-home manufactured by Texas-based Kasita, Inc.. The first Kasita “Independent” in Georgia, the micro-home is suited for anything from a backyard to the wilderness, and for those wanting a stand-alone home or a guest house. Above, Kasita, Inc. representative Matt Hensley, left, and Pinewood Forest Builders Guild Director Brett Baker inspect the new Kasita micro-home delivered to Fayetteville on May 17. Photo/Ben Nelms. Topping the scale at 374 sq. 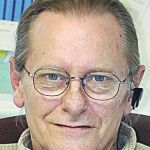 ft., the Independent is a self-contained home, nearly 32 feet in length, nearly 12 feet wide and comes with a ceiling height of just over 10 feet. The Kasita has everything found in any home, albeit on a smaller scale. Pinewood Forest President Rob Parker saw the Kasita homes up-close during a trip to Austin and met with company staff. “It’s here to provide an amenity-based experience, for people to experience tiny home living, to see what 374 sq. ft. feels like,” Baker said. “It is a completely reimagined home with industrial design at its core. There’s nothing quite like it in the market. Kasita homes do not contain a loft, murphy bed, pitched roof or wheels. Designed from the ground up with a custom steel frame, we make sure every cubic inch of space is maximized and reused to the greatest extent possible,” Kasita said. An “Independent” is 374 square feet with functional space equivalent to 460 square feet. “Community” units are 408 (Studio) or 816 (Pair) square feet with a functional space equivalent of 441-849 square feet, according to Kasita. The arrival of the Kasita adds another aspect to the varied architectural styles found in the dozens of home, either under construction or completed, in the Pinewood Forest community on Veterans Parkway. The potential of having something along the lines of a tiny house, and tree houses, at Pinewood Forest was first mentioned several years ago when planning for the community was in the beginning stages. While not for everyone, the continued emergence of tiny homes, whether as fixed structures or on wheels, draws fans nationwide as an alternative living arrangement.